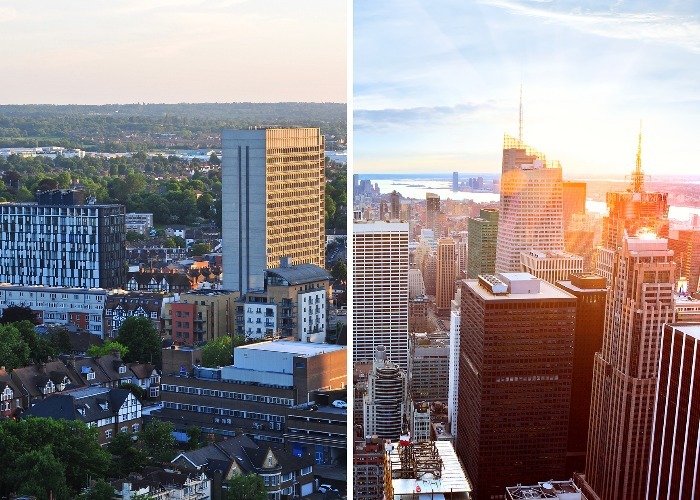 Croydon: London's answer to Manhattan? This south London town has been compared with the Big Apple. Lottie Gross investigates what Croydon and Manhattan have in common. I actually snorted in the office when this press release landed on my desk: “Hotel aims to be London’s answer to Manhattan’s finest”. Seems pretty normal on first glance, right? Until you realise they’re talking about the easyHotel in Croydon. Yes, that’s right. The accommodation spin-off from easyJet, everyone’s second least-favourite budget airline (top marks to Ryanair for that one). Bognor Regis, England's answer to the Hamptons, no less. But it turns out this is true. Not that Croydon is London’s Manhattan, but that planners have actually been saying so for years. A quick Google search takes me to an article by the Croydon Guardian titled: “10-year plan: Could Croydon be the next New York?” Spoiler alert: no. It turns out this article was written in 2005 and as far as I know, no one’s booking Croydon for their honeymoon yet. But there is certainly something in the air in this south London town, which has applied for its own city status (and been rejected) a number of times in the past. It is, after all, the home of trams and Peep Show. In early 2018, plans were confirmed for the next Westfield shopping centre to open here 2022. Let’s also not forget that East Croydon station – “which some say has similar majesty as New York’s Grand Central” sings the easyHotel press release – was the second location for the popular shipping container complex Boxpark. So what’s the deal with Croydon? Is it all wildly ambitious? Or is this south London hub a genuine destination we should be watching? Our editor Lottie Gross investigates. Well of course there’s the easyHotel offering “minimalist, ‘zen luxury’ for as little as £20 a night”, according to their rather zealous PR. You can even hire ‘wall mountings’ for £1 per night to give the room “a deluxe central London ambiance [sic]”. If you don’t find the easy-brand orange quite zen enough, there’s also a Hampton by Hilton hotel and a Premier Inn – the UK's most-loved hotel chain. There's also the well-rated, luxury Latitude Apartments, though these cost more than three times as much for a night. Croydon's arts scene is actually pretty healthy, with self-proclaimed 'arts and cultural hub' Matthews Yard housing a crowd-funded theatre and gallery space. Stop by for a burger and craft beer and you could be fooled into thinking you're in a Brooklyn bar, just over the Hudson from Manhattan, New York. 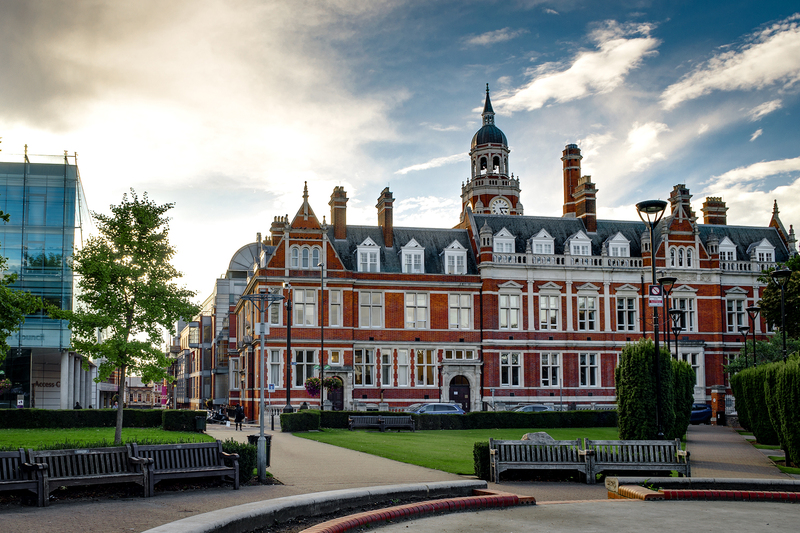 There's also a museum featuring changing exhibitions inside the Croydon Clocktower, and in the same building the David Lean Cinema has been showcasing the best of British and world cinema since 1995. Just over the road you'll find RISE Gallery, where emerging and established international artists are featured. To make way for the latest Westfield shopping complex, Croydon's Whitgift Centre will soon be demolished, leaving Centrale as the only shopping outlet for those in need of retail therapy. It's no Fifth Avenue, but plenty of your high-street brands have stores here. The shopping highlight, though, has to be Surrey Street Market. Trading since 1276, today it encompasses everything from classic fruit and veg stalls to freshly-baked bread, crafts and international street food. If you want to get out in the open, head to Wandle Park. A little smaller than New York City's Central Park, this 21-acre green space has a bandstand, skate park and café. Fifteen minutes north of East Croydon station you'll also find Crystal Palace Football Stadium for your inner sports fan. And you can channel your inner-child at the Oxygen trampoline park. Any good food on offer? 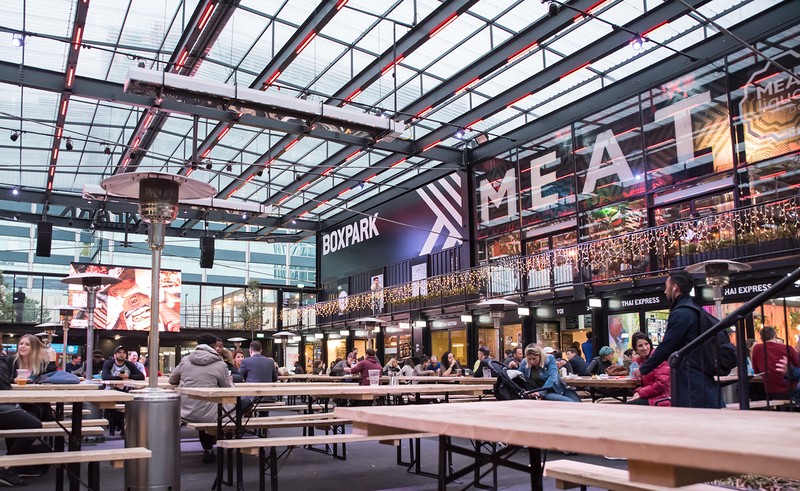 Since it opened in 2016 the talk of the town has been Boxpark. The first iteration of this shipping container complex was opened in Shoreditch (obviously), and to the surprise of many, Boxpark Croydon became the second. The covered courtyard is surrounded by street-food vendors housed in shipping containers, offering everything from vegan kebabs (a personal favourite of mine) to Indian snacks, ribs and more. There are also a few brilliant independent cafés such as the aforementioned Matthews Yard who host Brgr&Beer in their kitchen and Crushed Bean. Thanks to its multicultural population, there's plenty of delicious African and Indian cuisine about town too – Karnavar and Amera Rani are favourites among locals. It still remains to be seen whether Croydon will ever match Manhattan, though my feeling is that might be a bit of a stretch – New York City, after all, has 60 million annual visitors and even central London can’t compete with that. But there's definitely more to this ambitious town than meets the eye. Copyright © loveexploring.com All rights reserved.